GoGardenNow - The Gardening Blog brings you insights and tips on plants, gardening, garden tours, and answers to frequently asked gardening questions. 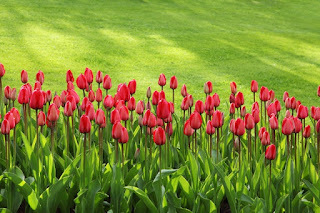 We at GoGardenNow.com believe garden clubs are among the best resources for garden information and friends. You'll find plenty at GoGardenNow Garden Club News! If you would like for your garden club meeting schedule to be included on this page, contact us with your announcements. The speaker will be Rachel Roat, publisher of the online periodical “Tree Laws.” Roat will talk about what people’s rights and duties are regarding the trees on private property, in the community, and especially in the Pinelands. - See more at: http://www.shamongsun.com/2014/12/30/pinelands-garden-club-holding-first-meeting-2015-jan-12/#sthash.mzNKAlB9.dpufAs part of Hopkinton’s 300th Anniversary Celebration, there will be a historical house and garden tour Sunday, June 14. FAQ: How many plants will I need? Copyright: Marshall's Farm, LLC, 2019. Powered by Blogger.